« Entrepreneurship in Biotech – Read this book!!! J&J executed one of its classic billion-dollar deals to buy BeneVir. Janssen Biotech, part of Janssen Pharmaceutical Companies, a subsidiary of Johnson & Johnson (J&J), announced on May 2, 2018 that it has entered into a definitive agreement to acquire BeneVir Biopharm (BeneVir), a biotechnology company specializing in the development of oncolytic immunotherapies. BeneVir is a portfolio company and subsidiary of HC2 Holdings’ Pansend Life Sciences, which is focused on developing healthcare technologies and products. Benevir uses a proprietary T-Stealth Oncolytic Virus Platform to engineer oncolytic viruses tailored to infect and eliminate cancer cells. Under the terms of the agreement, Janssen will make an upfront cash payment of $140 million at closing of the transaction, plus additional contingent payments of up to $900 million based on achievement of certain predetermined milestones. The total amount of all payments could exceed $1 billion if all milestones are met. The closing of the transaction is subject to customary closing conditions, including clearance under the Hart-Scott-Rodino Antitrust Improvements Act. The transaction, which was facilitated by J&J Innovation, is expected to close in the second quarter of 2018. A recent study from the Cancer Research Institute found 69 OVs in clinical development and another 95 in a preclinical program. NEW YORK, May 25, 2018—The Cancer Research Institute (CRI) announced today the publication of a report that provides a comprehensive, independent analysis of the global landscape of cancer cell therapies, including all agents from preclinical to post-market stages. This report provides a quantitative and current overview of the cancer cell therapy field, reveals the unparalleled speed of the field’s expansion, highlights exciting innovations in the development pipeline, and advises strategies to advance the field as a whole. The report, titled “The Global Landscape of Cancer Cell Therapy,” appeared online today in Nature Reviews Drug Discovery, a premium journal from Nature Publishing Group and an authoritative source of information in drug discovery and development. This report, which expands on CRI’s previously published landscape analysis of the entire field of immuno-oncology, highlights the geographic distribution of cancer cell therapies worldwide and identifies the dominant presence of CAR T therapies in the cancer cell therapy space. “The quantitative analyses from this report reveal unprecedented enthusiasm and innovation in the global cell therapy pipeline,” said Jill O’Donnell-Tormey, Ph.D., chief executive officer and director of scientific affairs at the Cancer Research Institute. “In addition to traditional powerhouses of drug development such as the United States or European countries, many other countries, especially China, have significant presence in this space,” noted Jun Tang, Ph.D., a senior research analyst for the CRI Anna-Maria Kellen Clinical Accelerator program and first author on the report. To access the interactive dashboard of the report, visit the CRI website at cancerresearch.org/io-cell-therapy. Merck’s R&D chief Roger Perlmutter — who steered the T-Vec deal at Amgen — bagged Viralytics for $394 million. (Reuters) – U.S. drugmaker Merck & Co (MRK.N), already one of the leaders in the hot area of cancer immunotherapy, said on Wednesday it had agreed to buy Viralytics VLA.AX for 502 million Australian dollars ($394 million) to expand its pipeline in the sector. Hum Vaccin Immunother. 2018; 14(4): 839–846. Oncolytic viruses represent a novel drug class in which native or modified viruses mediate tumor regression through selective replication within and lysis of tumor cells as well as induction of systemic antitumor immunity capable of eradicating tumor at distant, uninjected sites. Talimogene laherparepvec (TVEC) is a type I herpes simplex virus genetically modified to preferentially replicate in tumor cells, enhance antigen loading of MHC class I molecules and express granulocyte-macrophage colony-stimulating factor to increase tumor-antigen presentation by dendritic cells. 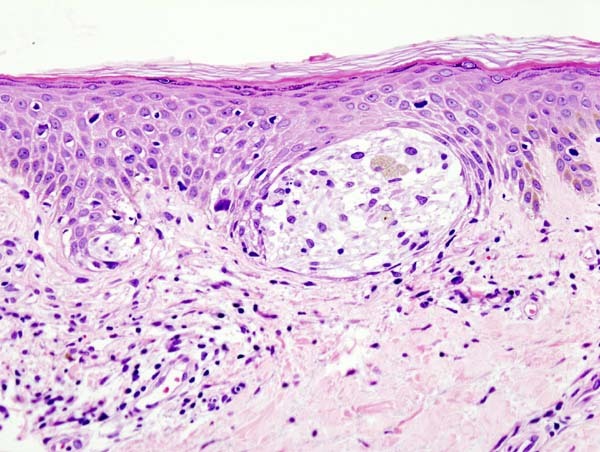 It is presently the only oncolytic virus approved by the FDA with an indication for advanced melanoma based upon improved durable response rate in a randomized, phase III trial. Clinical trials are underway in melanoma investigating TVEC as neoadjuvant monotherapy and in combination with checkpoint inhibitors for unresectable disease as well as in an array of other malignancies. It is appropriate to review TVEC’s biology mechanism of action, clinical indication and future directions as a prototype of the burgeoning class of oncolytic viruses. Amgen’s landmark approval of T-Vec, the world’s first marketed oncolytic virus. The U.S. Food and Drug Administration announced on Oct. 27 that it has approved, for the first time, an oncolytic (cancer-killing) viral therapy in the United States. The drug was approved for use against late-stage melanoma, a deadly skin cancer that can be difficult to treat. The approval came as the result of a recent Phase III study, which showed that more patients with late-stage melanoma, treated with a herpes cold sore virus designed to kill tumor cells, had a better response when compared to a different treatment. Robert Andtbacka, M.D., from Huntsman Cancer Institute at the University of Utah and Howard L. Kaufman, M.D., from Rutgers Cancer Institute of New Jersey, led the multisite study, published May 26 online in the Journal of Clinical Oncology. The basic unit of life. 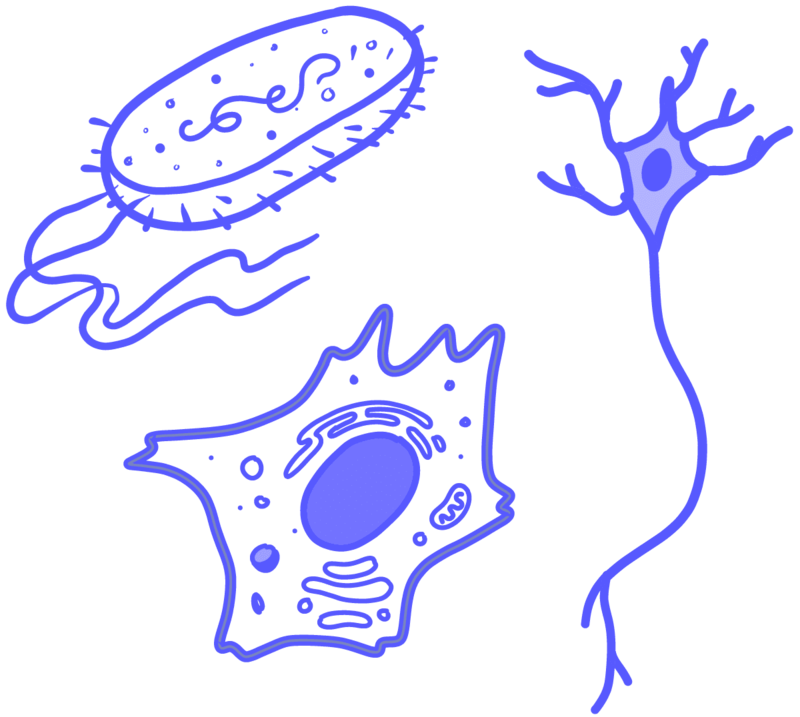 The number of cells in a living organism ranges from one (e.g. yeast) to quadrillions (e.g. blue whale). A cell is composed of four key macromolecules that allow it to function (protein, lipids, carbohydrates, and nucleic acids). Among other things, cells can build and break down molecules, move, grow, divide, and die. 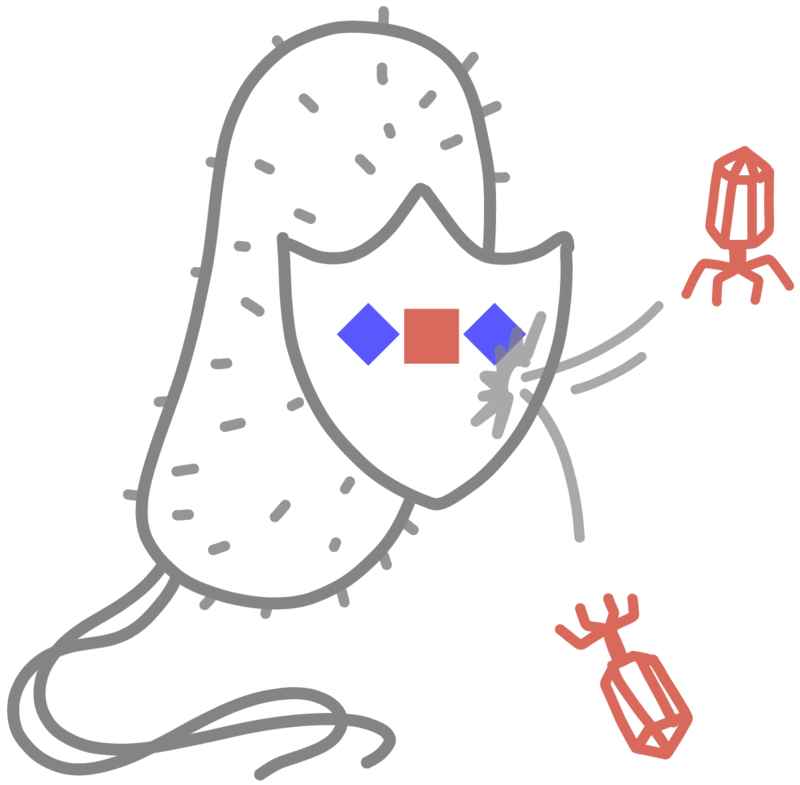 An infectious entity that can only persist by hijacking a host organism to replicate itself. Has its own genome, but is technically not considered a living organism. 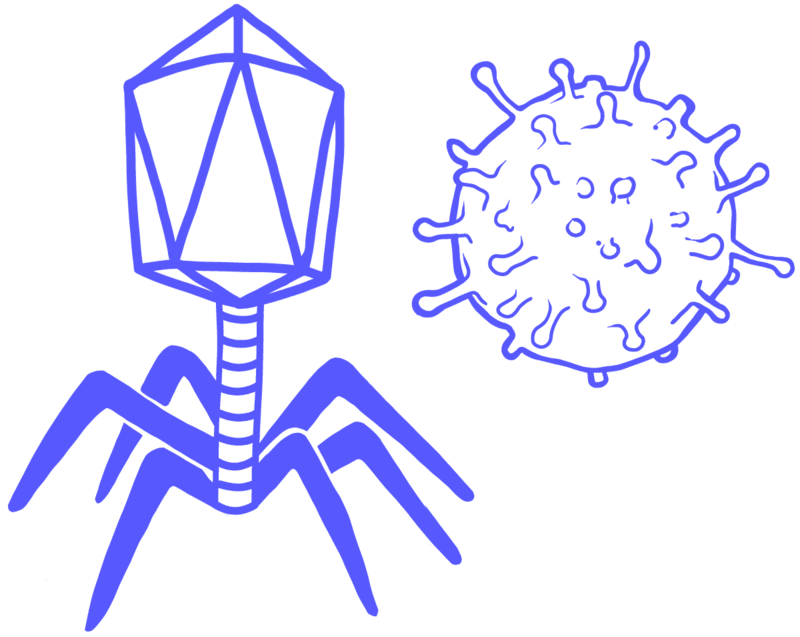 Viruses infect all organisms, from humans to plants to microbes. Multicellular organisms have sophisticated immune systems that combat viruses, while CRISPR systems evolved to stop viral infection in bacteria and archaea. Abbreviation of deoxyribonucleic acid, a long molecule that encodes the information needed for a cell to function or a virus to replicate. Forms a double-helix shape that resembles a twisted ladder. Different chemicals called bases, abbreviated as A, C, T, and G, are found on each side of the ladder, or strand. The bases have an attraction for each other, making A stick to T while C sticks to G. These rungs of the ladder are called base pairs. The sequence of these letters is called the genetic code. Pronounced “crisper.” An adaptive immune system found in bacteria and archaea, co-opted as a genome engineering tool. 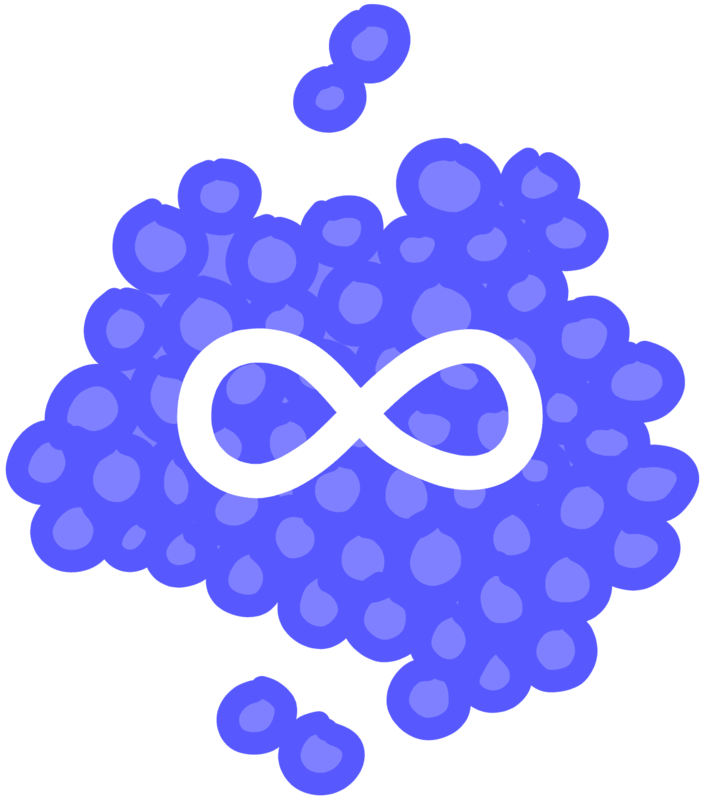 Acronym of “clustered regularly interspaced short palindromic repeats,” which refers to a section of the host genome containing alternating repetitive sequences and unique snippets of foreign DNA. CRISPR-associated surveillance proteins use these unique sequences as molecular mugshots as they seek out and destroy viral DNA to protect the cell. 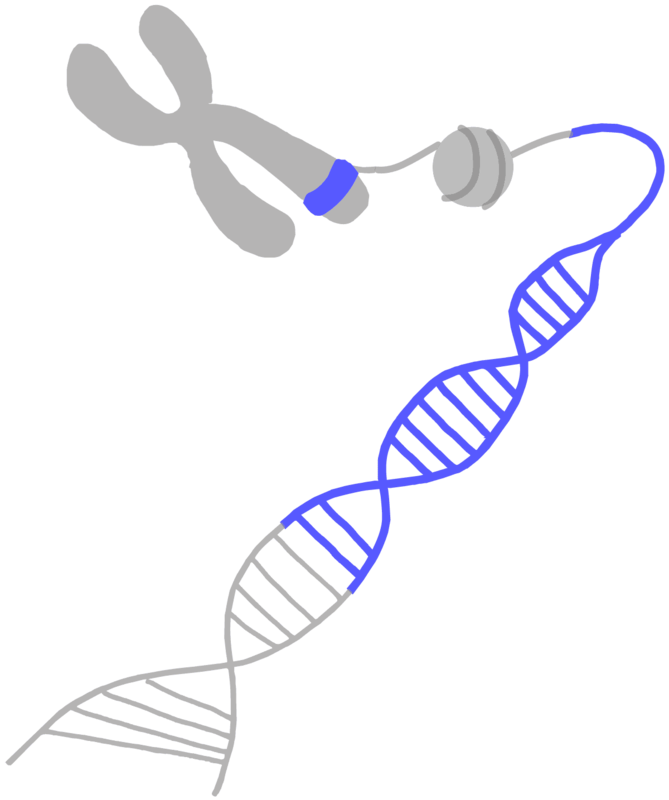 A segment of DNA that encodes the information used to make a protein. Each gene is a set of instructions for making a particular molecular machine that helps a cell, organism, or virus function. A type of disease caused by uncontrolled growth of cells. Cancerous cells may form clumps or masses known as tumors, and can spread to other parts of the body through a process known as metastasis. 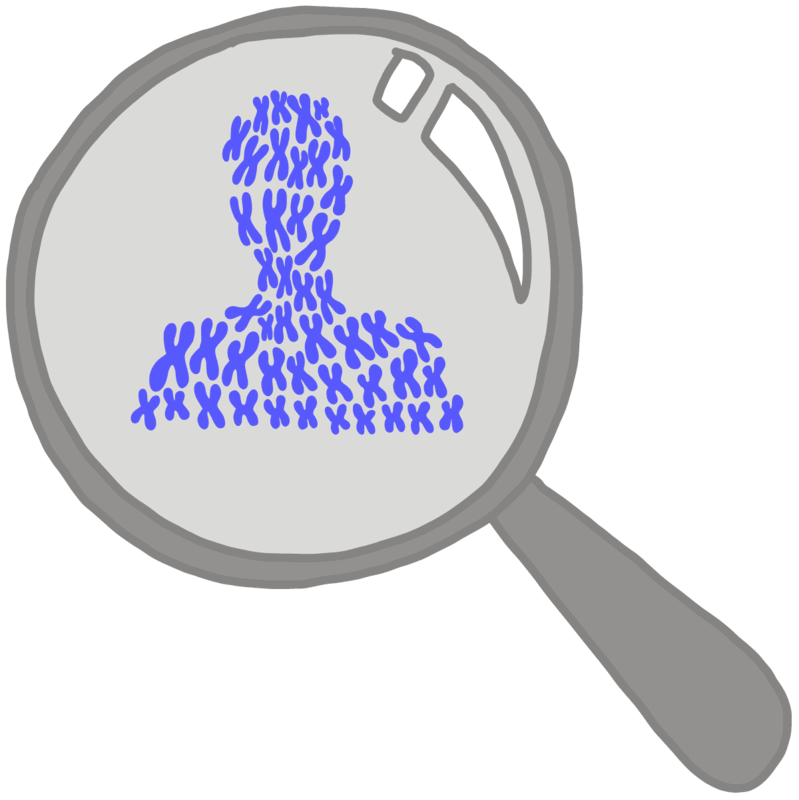 ” aria-describedby=”tt”>cancer, autoimmunity, and other diseases, including rare inherited disorders. The entire DNA sequence of an organism or virus. The genome is essentially a huge set of instructions for making individual parts of a cell and directing how everything should run. ” aria-describedby=”tt”>genome sequences in human T cells. It relies on electroporation, a process in which an electrical field is applied to cells to make their membranes temporarily more permeable. After experimenting with thousands of variables over the course of a year, the UCSF researchers found that when certain quantities of T cells, DNA, and the CRISPR “scissors” are mixed together and then exposed to an appropriate electrical field, the T cells will take in these elements and integrate specified genetic sequences precisely at the site of a CRISPR-programmed cut in the genome. 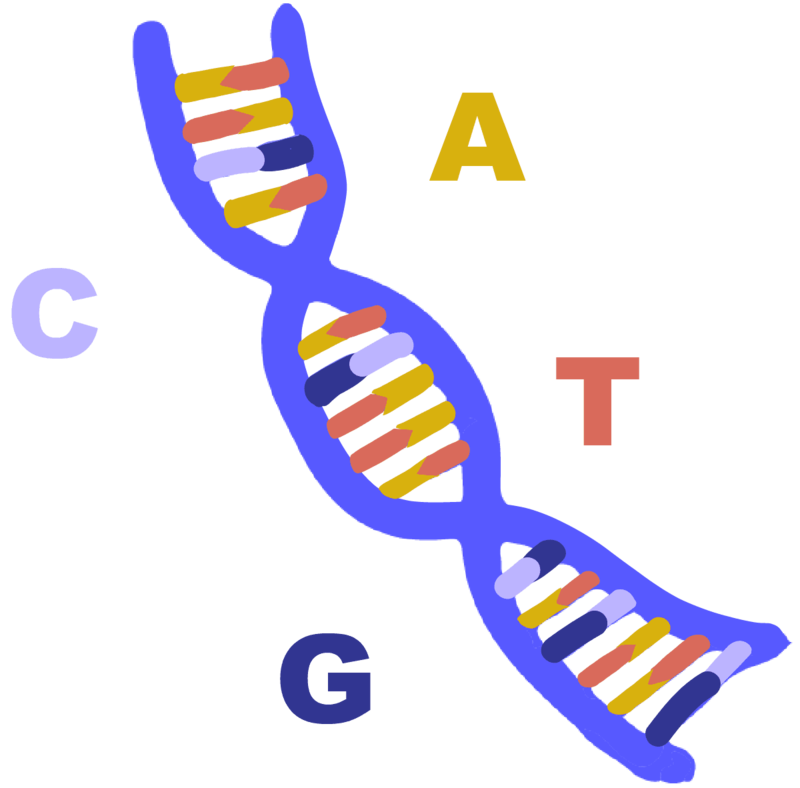 The study of the genome, all the DNA from a given organism. 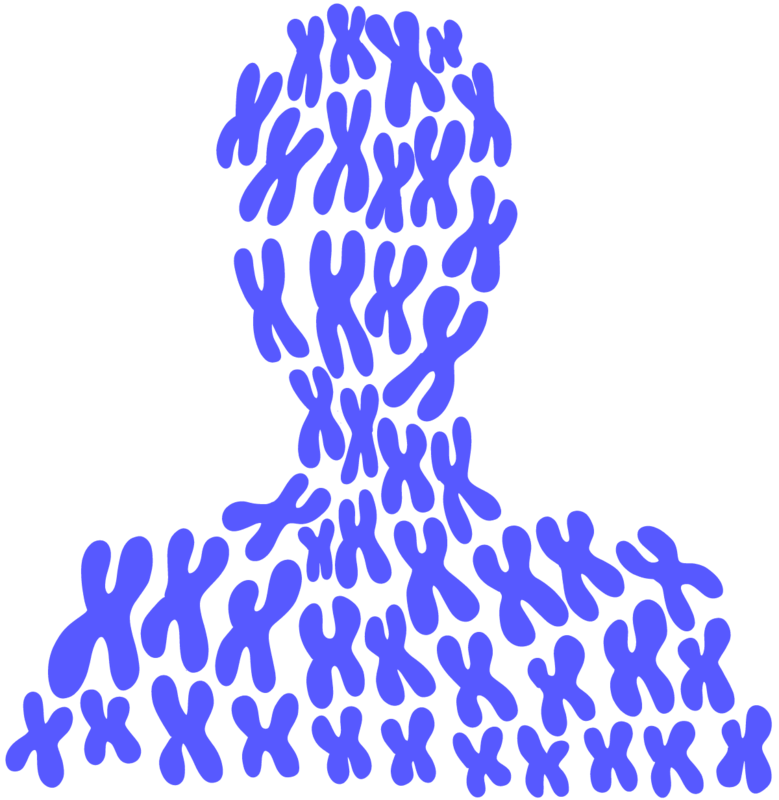 Involves a genome’s DNA sequence, organization and control of genes, molecules that interact with DNA, and how these different components affect the growth and function of cells. ” aria-describedby=”tt”>Genomics Institute, is that the approach makes it possible to insert substantial stretches of DNA into T cells, which can endow the cells with powerful new properties. Members of Marson’s lab have had some success using electroporation and CRISPR to insert bits of genetic material into T cells, but until now, numerous attempts by many researchers to place long sequences of DNA into T cells had caused the cells to die, leading most to believe that large DNA sequences are excessively toxic to T cells. Cancer Res. 2016 Aug 15; 76(16): 4627–4636.